Benefit from the world’s only INDEPENDENT & NON-BIASED event on real airport experiences of A-CDM implementation! Airport Collaborative Decision Making: The Real Experiences of Airports 2019 will be held from 23-25 of April 2019 in Central London. Find out what are the real costs, practical challenges, global differences and handling partner “politics” behind A-CDM implementation without the pressure of being sold to! 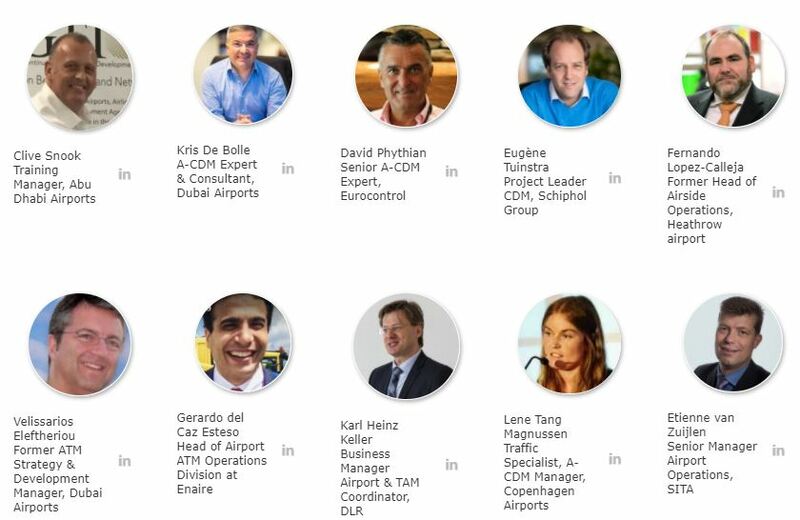 2019 Expert speakers include:A-CDM procedures increase airport efficiency, operations predictability and integrates airports in the ATFCM network. This results in optimised turnaround, delay avoidance and fuel savings. It is forecasted that in 2019 around 50% of Europe’s traffic departs from A-CDM airports. Airport Collaborative Decision Making: The Real Experiences of All Stakeholders 2019 is 3 Day Premium Best Practice and Networking training for Airports, Airport Operators, Air Navigation Services, Ground Handling Providers and Civil Aviation Authorities to share timely and accurate information in order to facilitate more efficient decision making, better operations planning and improvement of air traffic management. A-CDM aims to improve air traffic flow and capacity management at airports by reducing delays, improving punctuality optimizing the utilization of resources. As the name suggests, it is about the airport’s partners working together and making decisions based on more accurate and higher quality information. Join Exclusive Panel Discussions with the world’s most informed A-CDM experts, airport operators, technology providers and Air Navigation professionals sharing their personal hands-on experiences on current large and small-scale projects and in-house solutions. Eye-opening sessions on A-CDM Real Experiences of Airports across the globe will prove invaluable to your own A-CDM project management and assist with reducing delays, improving punctuality and optimizing resource utilization. The new 2018 programe includes Case Studies on the main A-CDM challenges and lessons learnt from Amsterdam Schiphol Airport, Brussels Airport, Spanish Airports, Copenhagen Airport, Italian Airports, Munich Airport, and Heathrow Airport. London Airport’s Operational Centre visit is an essential part of the event, witnessing deployment of the SESAR APOC concept.